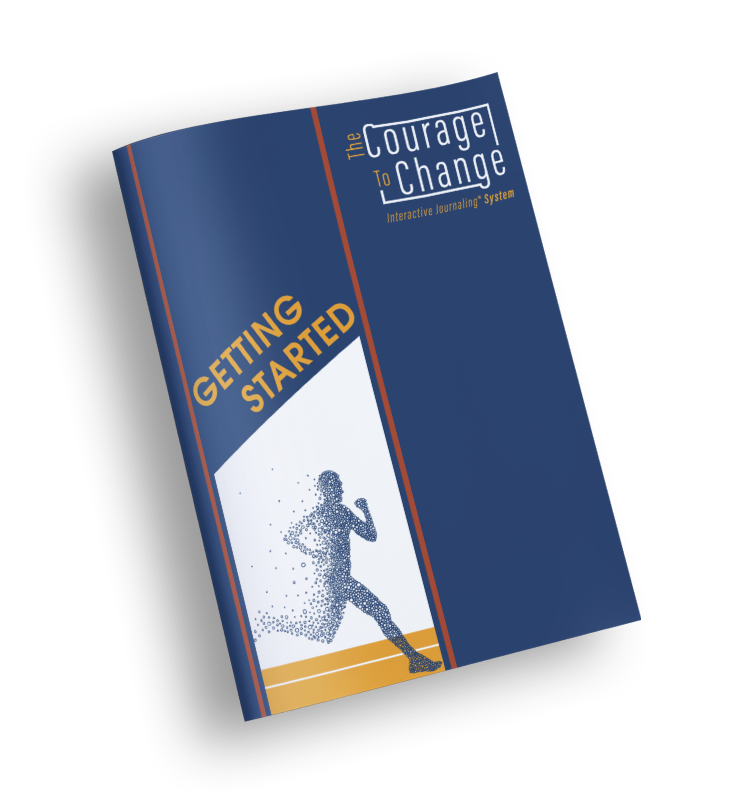 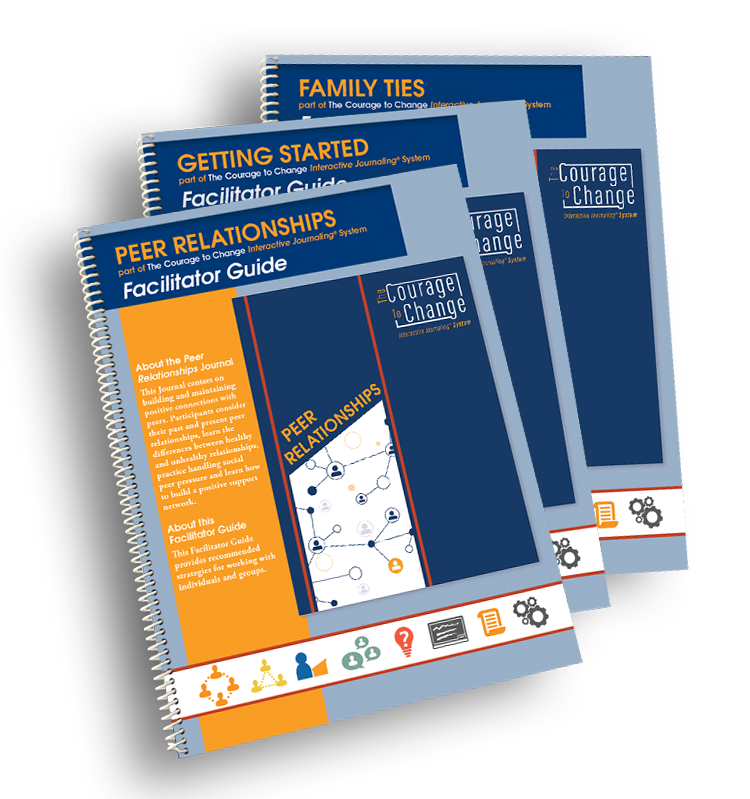 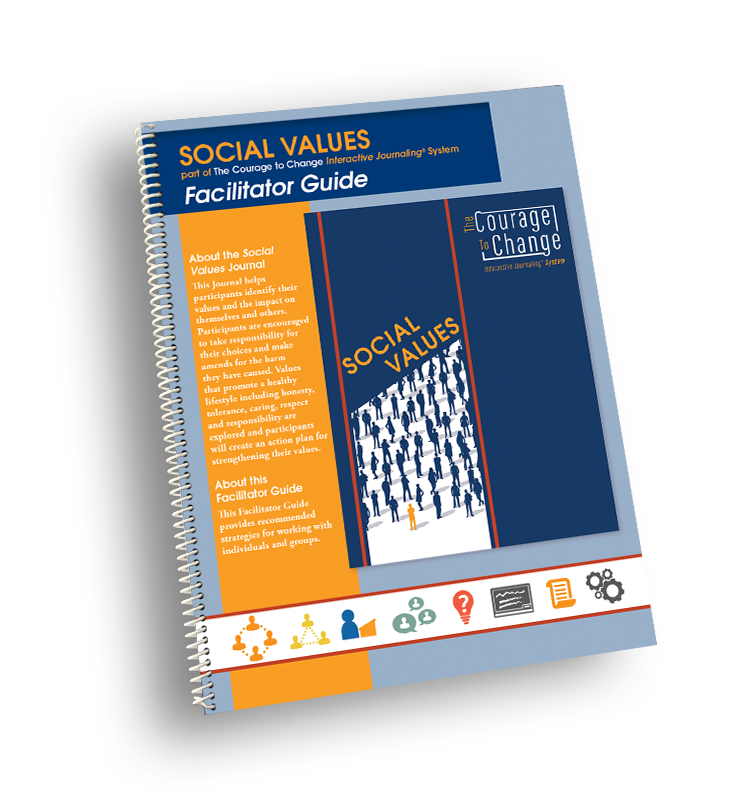 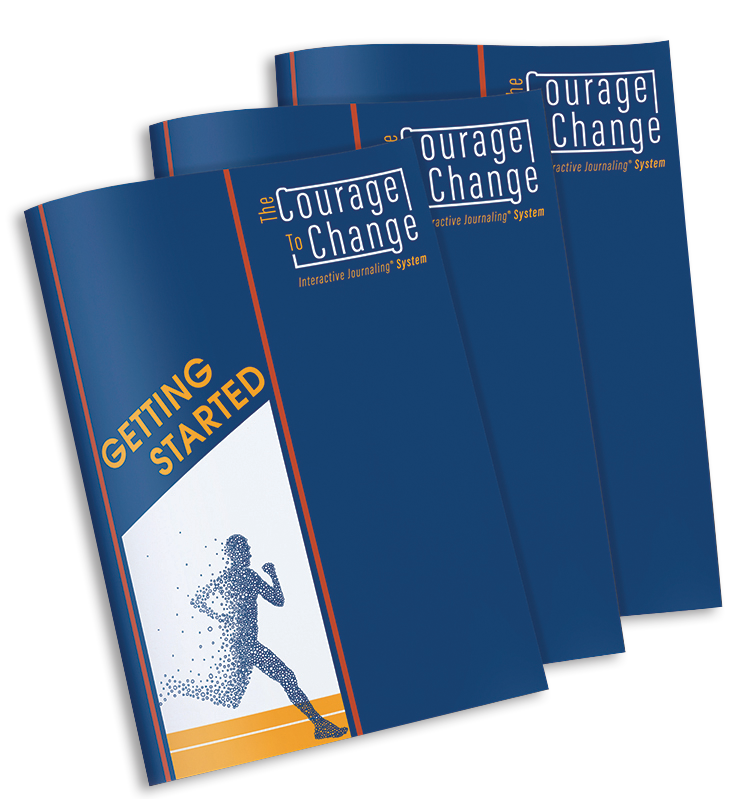 The Courage to Change Interactive Journaling® System is an evidence-based supervision/case management model developed in collaboration with several United States Probation Offices. 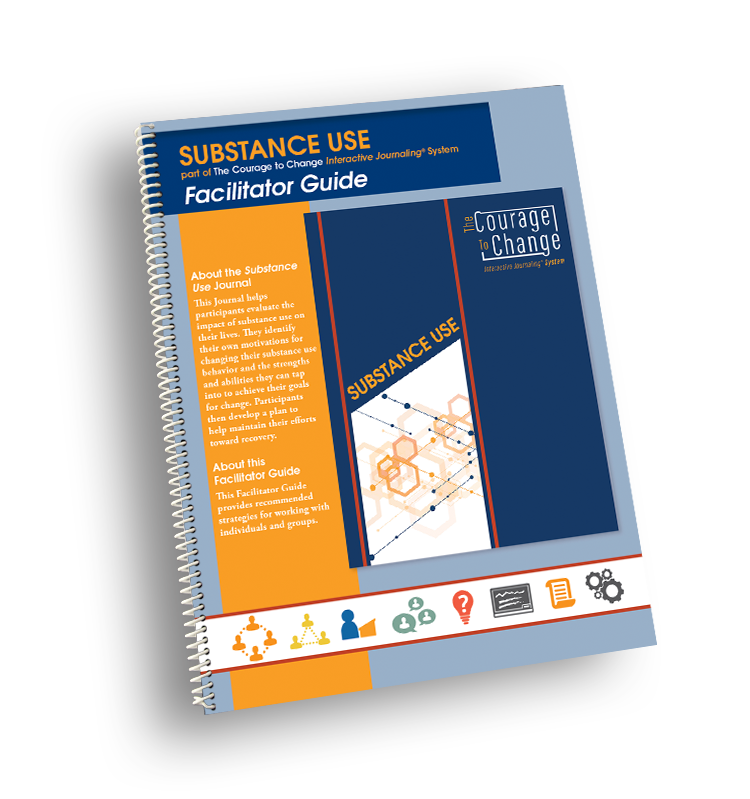 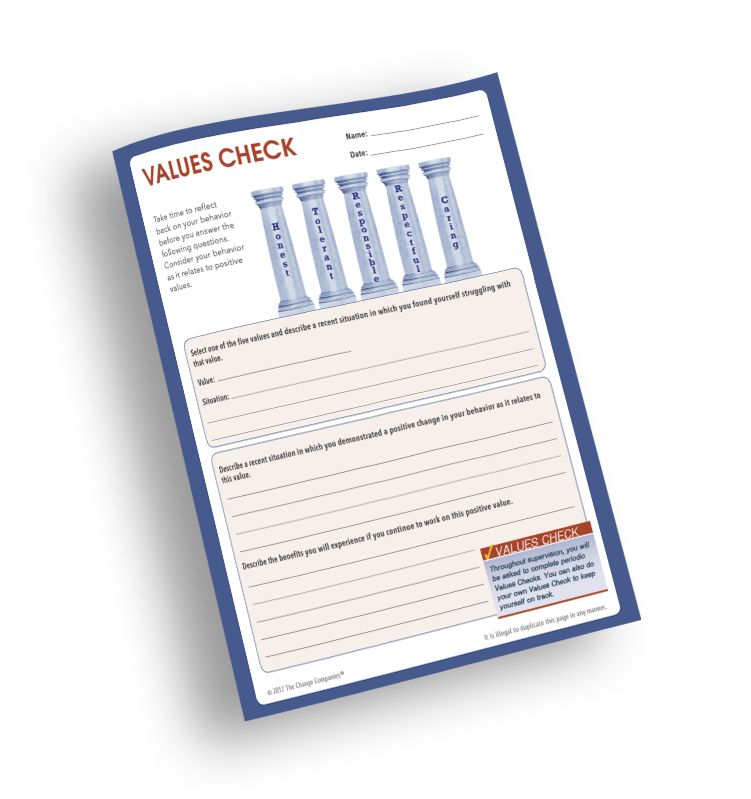 Through the use of this cognitive-behavioral Interactive Journaling® System and interaction with their support team, participants address their individual problem areas based on a criminogenic risk and needs assessment. 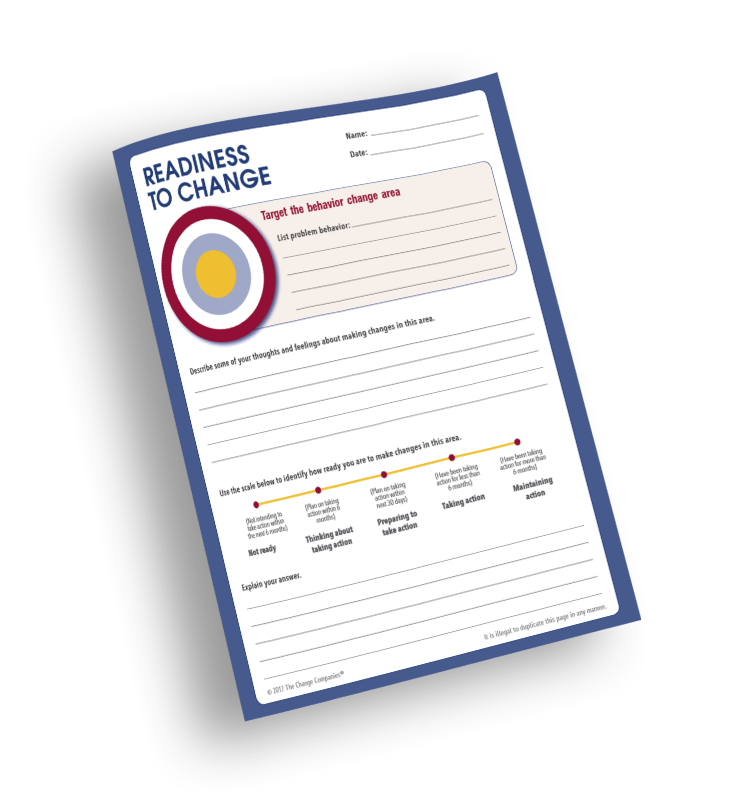 Implementation is flexible and can be customized based on risk, responsivity and programming needs. By personalizing the information presented in the Journals to their own circumstances, participants will develop a record of their commitments and progress throughout probation and a roadmap to success in their efforts to make positive behavior change.